Architects first get a view of the land. Before they envision a building, they envision what would fit into that landscape. The architect then considers what occupies the surrounding space. It is then they start pulling it all together with drawings and photos and notes. That is typically how a credentialing or provider enrollment program should be designed. To build a successful credentialing or provider enrollment program, you need to know the lay of the land. You need to know what type of services you will be providing, what type of providers will be providing the services, and what regulations and accrediting standards must be met. If you are the one offering the services, what are your payors’ expectations and what kind of relationships can you have. These very important functions cannot be patched together along the way as an afterthought. Doing so will cause many problems such as delays in reimbursement from payors, delays in patient care due to untimely start dates for new providers, and an office riddled with chaotic processes. All of which can be avoided by following in the footsteps of the architect. Plan it in detail and then build it. Analyze it along the way to make sure everything fits perfectly. What should a credentialing or provider enrollment program look like? How should one be created? An organization that is just beginning should include credentialing or provider enrollment in the basic blueprint or the business plan. Unfortunately, many organizations forget to include those functions as part of the process or even worse, they consider those functions as trivial administrative tasks. Yes, there are many administrative tasks involved. It is easy to hire someone to collect and verify data, but having someone perform rote activities that may meet the requirements of Joint Commission, NCQA, URAC, CMS, and various states can be very dangerous if there is no structure. What about the organizations that are already in business and suddenly find that this menial administrative task is causing them to lose revenue? That’s usually when the realization that the task is not just a task, but one of importance that requires a tightly honed process to ensure revenue is not lost or delayed. These programs are then given the priority that should have been placed in the beginning. Healthcare policies are in the continuous flow of change, like life. 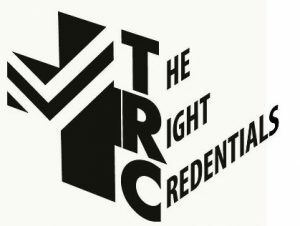 A sound credentialing program to ensure your providers are competent and qualified should begin before the hiring or affiliating process, as well as the process of enrolling them to your insurer contract. If these tasks are overwhelming, maybe it’s time to bring in a consultant to build that effective program. If you are unable to staff those functions, maybe it’s time to outsource for help. There is always an answer. Don’t get stuck, get out of the mire. Though policies and regulations may change, it is possible to always be prepared. Remember the steps the architect takes, and build a sound program so the walls won’t come toppling down. Dilsa S. Bailey, CPMSM is a consultant and trainer with The Right Credentials Network and a partner with STAT MedCare Solutions. To learn more about The Right Credentials Network, click here. To schedule a sales call with STAT MedCare Solutions to discover how our team can assist your organization, click here.